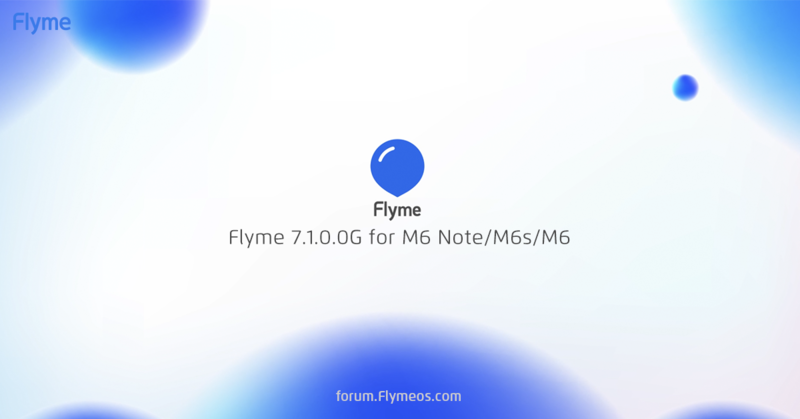 Flyme 7.1.0.0G for M6 Note, M6s and M6 is available! Download and experience now! • Added SOS feature in Phone > Settings. 2) update Play Store service service and try downloading those apps again. · This firmware is the stable version for the these devices. If you meet any problem when updating, we suggest you to back up you data and then clear up your user data to install. · If an update failure prompt pops up when you try to install this update, please update your system to the last Flyme stable version and try again. · Downloading using cellular data may incur additional charges. If possible, please download the update file via WLAN. · To avoid loss of data & if required, please perform Flyme or relevant backups before updating the system. · To avoid bricking your phone, please do not turn off or restart the device while updating. · If you want to roll back to Flyme 5 from this version, you will need to clear user data first. How does that SOS feature work? Anybody, any clue for the unsupported memory card in this update but recognize by flyme 6?